Breakfast, approachable host, we were made to feel absolutely welcome and that is something we really appreciated on this visit. We arrived late and so our view of the Loch was not fully appreciated until the morning, but it was stunning to see and we recommend getting a booking with a "lake" (Loch) view. Visited 20th - 22nd Oct 18: The hospitality provided was brilliant throughout - the owner is a very nice gentleman, very welcoming and couldn't do enough for you. The cooked breakfast provided was very nice also. Even on the day I had checked out, and got back from walking up Beinn Narnain, the owner very kindly offered me to keep my car there parked for the day and provided me a cup of tea after a cold day in the hills. A genuinely nice gentleman who you can certainly have a good chat to. I shall certainly be looking to stay again. Absolutely wonderful host! Very accomodating for dietary needs so had an excellent breakfast. Bed was like sleeping on a cloud, so comfortable. Thank you! Super friendly and helpful host. Great breakfast. FANTASTIC beds! The hosts were lovely and the room comfortable. Our room did have a slope on the floor but it didn't bother me. There was so much choice for breakfast you wouldn't go hungry. Perfect for a 2 night stay. 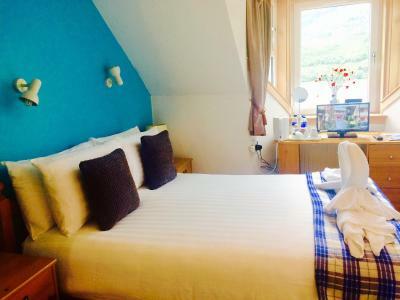 You were made welcome and apologised to about the fact that the B&B was closing the next day for major refurbishment as the owners told us that they had only recently acquired the property and this was the first chance that had. 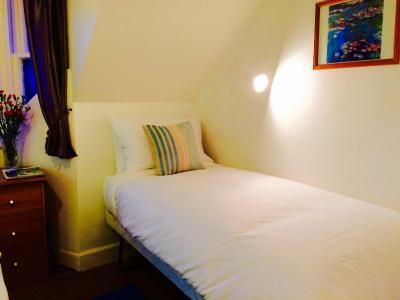 Apart from that the rooms was comfy and spotless and breakfast offered everything you required. Warm welcoming from the both of them. Best quality of Breakfast (we can feel it's from a Local productor) Bedroom were clean and comfy. We have seen a deer in the Garden. Surrended by a Beautiful nature ! Very nice staff. Comfortable and clean room. Breakfast was really good. Rowantreebank Bed and Breakfast has been welcoming Booking.com guests since 30 Nov 2012. When would you like to stay at Rowantreebank Bed and Breakfast? House rules Rowantreebank Bed and Breakfast takes special requests - add in the next step! Rowantreebank Bed and Breakfast accepts these cards and reserves the right to temporarily hold an amount prior to arrival. Please inform Rowantreebank Bed and Breakfast in advance of your expected arrival time. You can use the Special Requests box when booking, or contact the property directly with the contact details provided in your confirmation. Owner say about to start on a refurbishment which I would say is long overdue, cleanliness not great, including what appeared to be blood stains on the duvet cover, supposed to be great breakfast, but sausages were under cooked and very pink inside, and on the whole Luke warm when served. Owners nice people, but accommodation and standards need improvement. As Melissa recommended we will rent a car next time for get to see more. Been walking and using Bus left us with less choices of excursions. A very warm welcome. Vegan breakfast catered for. We stayed here few nights during August bank holiday. It was amazing. Owners did so much for us to even buying different foods for our breakfast. Tips were very handy in regards to places to eat etc. Rooms were quite cosy an very clean. 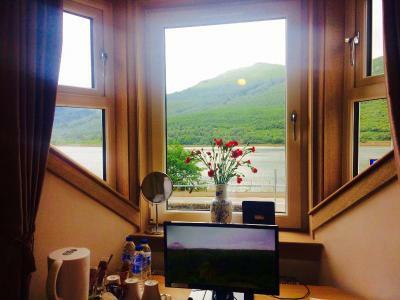 Excellent location with fantastic view over the loch from the rooms an garden. Would defo stay again. Owners were fab.